Well, it’s official. Last week, we inked our first foreign publishing deal through the international network of my wonderful agent, Beverley Slopen. The respected publishing house Shui-Ling Culture and Books will translate the novel and publish it for the Taiwanese market. They hope to use the same cover design. My heartfelt thanks to Beverley Slopen who has worked tirelessly to take my humble novels beyond our borders. And now those efforts have paid off. I often hear other authors being introduced as being translated into 23 foreign languages and sold in 34 countries, etc., etc. Well, now we can say that we’re translated into ONE foreign language… and I couldn’t be happier! Here’s hoping this is the thin edge of the wedge and that other foreign publishing deals will follow. And if they don’t, well, we’ll always have Taiwan! 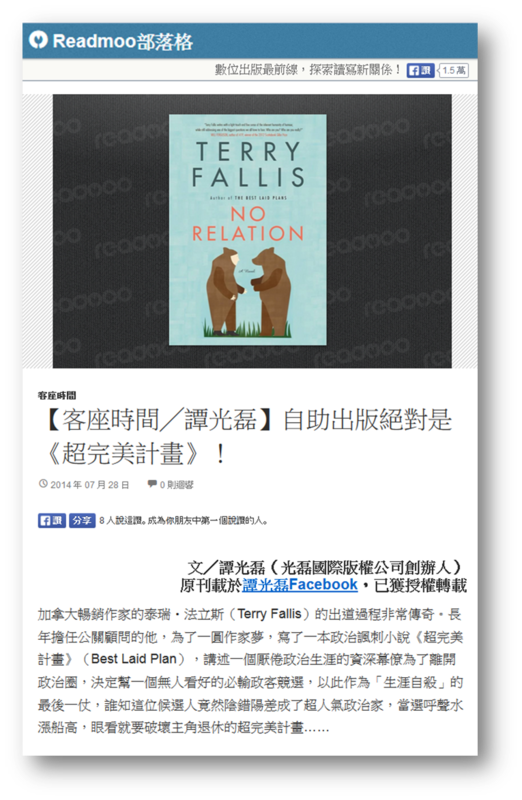 Here’s a Taiwanese book site that is already promoting No Relation and, as far as I can tell, discussing my strange publishing journey. No Relation has now been on the market for ten weeks. 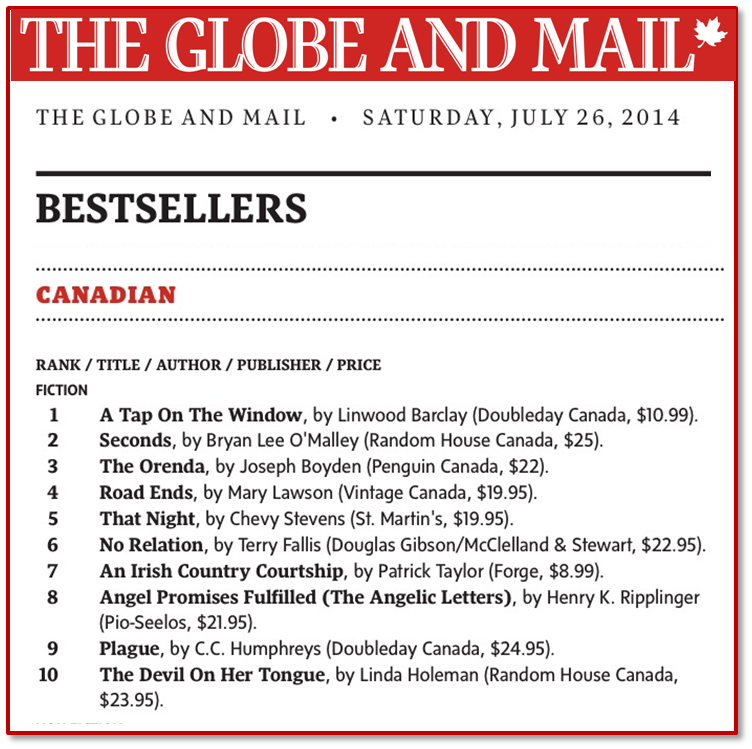 So you can imagine how thrilled I am that for the tenth straight week, it’s still hanging in there on the Globe and Mail Bestsellers list. Honoured, humbled, and grateful.